Oral presentation for the book launch at Casa de Portugal. Lecture delivered at the headquarters of the Casa de Portugal at the launch of the book “Os Monges Guerreiros de Goyos e a Ordem do Hospital em Portugal”, São Paulo, 18 March 2019. By Prof. Dr. Maurizio Martelli, University of Genova, Italy, March 2019.
Review by Emanuel Dimas de Melo Pimenta, Lisbon, March 2019. Oral presentation for the book launch in Lisbon. 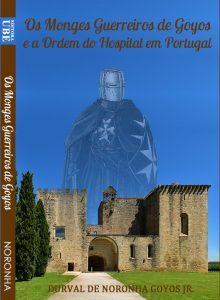 Lecture delivered at the headquarters of SHIP at the launch of the book “Os Monges Guerreiros de Goyos e a Ordem do Hospital em Portugal”, Lisbon, December 5, 2018. Author: Durval de Noronha Goyos Jr.